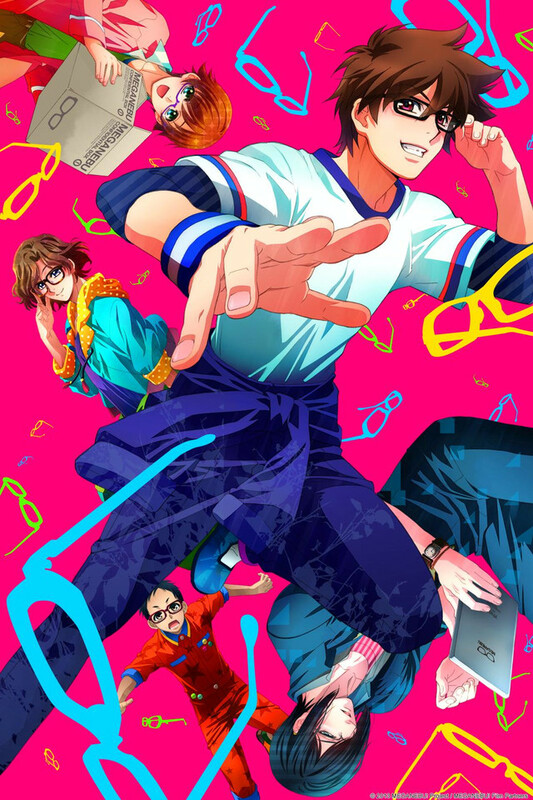 Bespectacled high school boys devote an almost abnormal degree of passion to their glasses in this youth masterpiece. Souma Akira is a glasses-wearing high school student at the rural Himalaya Third Technical School. He loves glasses more than anyone and is proud to wear his own. Along with Hachimine Takuma, Minabe Yukiya, Kamatani Mitsuki, and Kimata Hayato - four other boys with glasses who have joined (or, perhaps, were forced to join) the club born of Akira's greatest ambition - the members of "The Glasses Club" share sweat, laughter, tears, and the occasional explosion(!) as they pour their undying passion into their eye-wear.